Back to the Drawing Board! What’s the colour of Frustration? National Doodle Day on 7th March 2014!! Catch Up… since the concept panel. I’m working with Jonny and Jack for my presentation which is fine because I get on with them but the problem is, is that I want to focus on children’s illustration whereas the boys illustrations are more mature and aimed at adults. We will have to find common ground to create a smashing presentation. I have been emailing my tutor back and forth ideas that we came up with but they were always too vague. 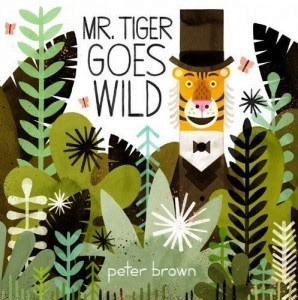 First we started off with animals and how they are represented, I would have focused on a specific children’s book called The Tiger Who came to Tea by Judith Kerr and Mr Tiger Goes Wild by Peter Brown. This video from the amazon website is an interview with Judith Kerr and she talks about her life in Germany including why she ran with her family from Germany. It is extremely interesting and I fell in love with her and her work even more! After talking to the tutor he said ti was still too vague and so we went back to the drawing board although I am glad I still looked into it as I never knew about The Tiger Who Came to Tea hidden story and I learnt a lot about the illustrator and her past. How is gender represented in Children’s books? How is gender not so divided when you grow older? Now we had a rough layout of what each of us was going to concentrate on we can begin creating the presentation. The good thing about this was that mine and Jonny’s section interlinked as when children grow up they ar told the difference between female and male roles but as you grow older these lines blur and you are told everyone is equal. I am going to post my section of the presentation on the next post and write what I said, after this I can then analyse what worked and what didn’t after we presented on monday. 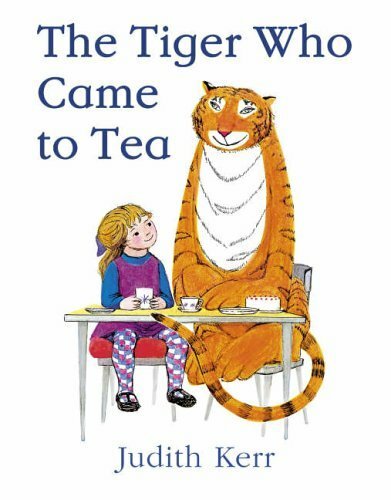 The Tiger Who Came to Tea, [internet]. Available from: http://img.dooyoo.co.uk/GB_EN/orig/0/0/3/6/2/36267.jpg, [Accessed 11 March 2014, 6.07pm]. Jennifer., 2013, Mr Tiger Goes Wild book review and giveaway, [internet] Available from: http://sugarpopribbons.blogspot.co.uk/2013/12/mr-tiger-goes-wild-book-review-giveaway.html, [Accessed 11 March 2014, 6.10pm]. This entry was posted in So... Presentation time again. What is the colour of Frustration?